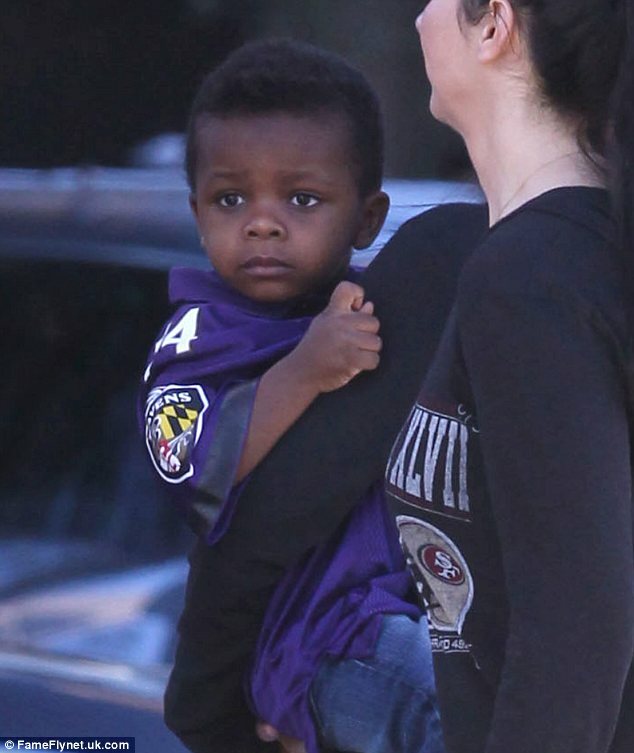 Sandra Bullock who playes the adpoted mother of Baltimore Raven lineman Michael Oher in the movie "Blind Side" turn out to watch him play in the Super Bowl Sunday night in New Orleans with her son Louis all geared up nicely in Michael. 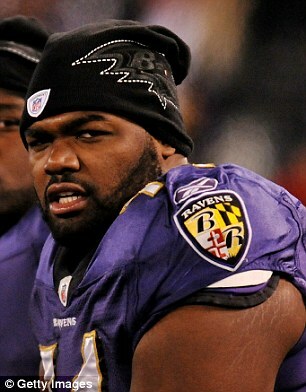 Oher's Jersey. "The 26-year-old celebrated his win against the San Francisco 49ers knowing that Sandra, with the Tuoys, was in the stands with a special treat -- her own adopted son Louis, 3, was dressed in an Oher jersey in his honour." 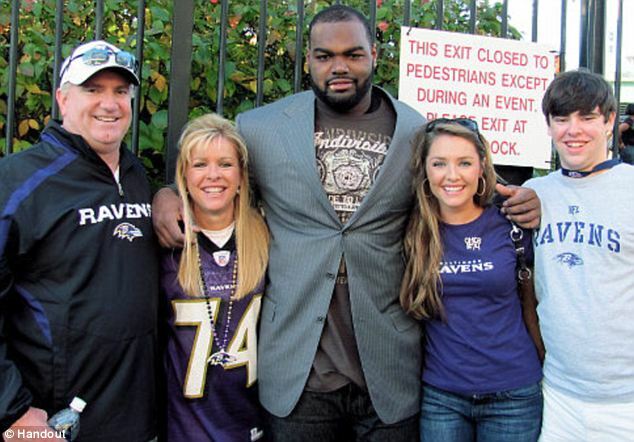 The Blind Side is a true story of how the Tuoys, a well-off Southern family, adopted Oher and nurtured his career. 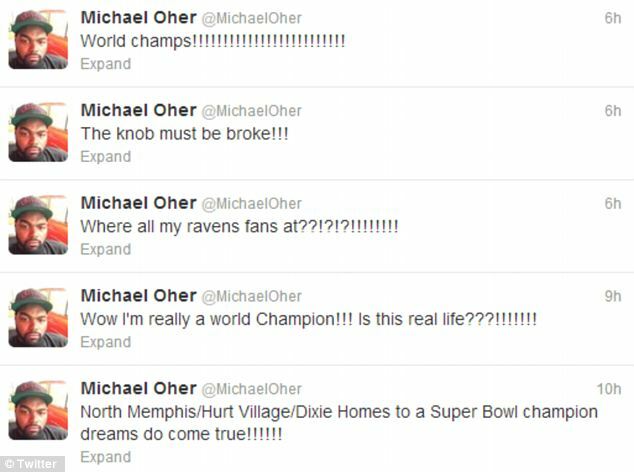 Oher was one of 12 children of a crack addicted mother who had been bouncing from foster home to foster home until he was taken in by the family. 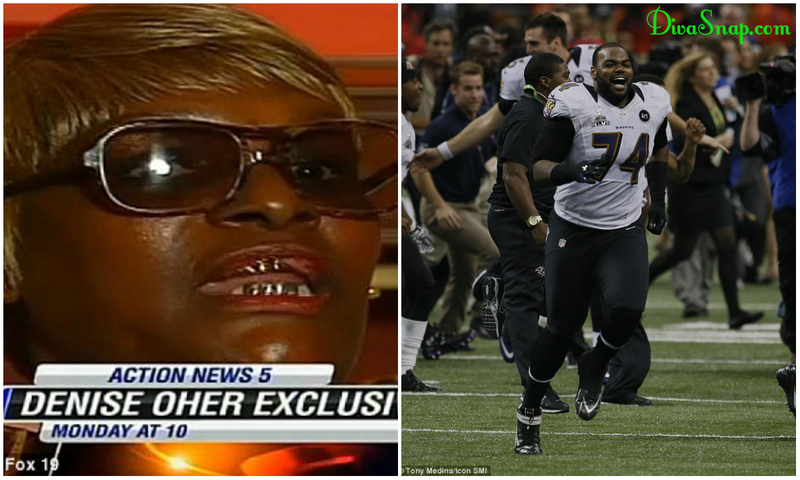 Bullock and the Tuohys had a lot to celebrate after the game in New Orleans. 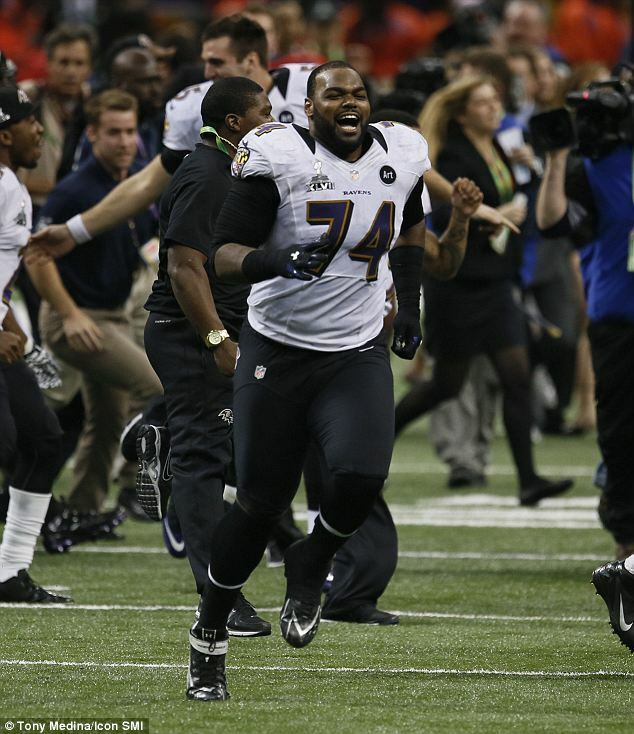 Oher's team, Baltimore Ravens, beat San Fransisco 49ers 34 to 31. 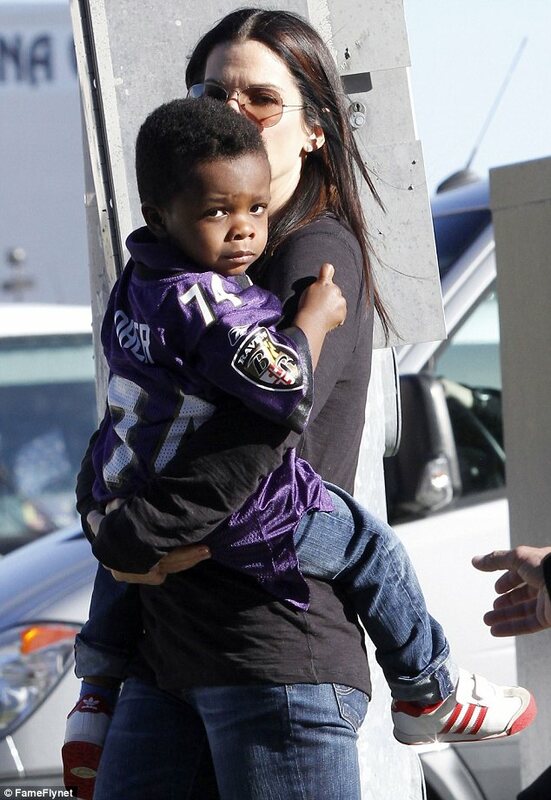 Also supporting the purples was Stacey Kiebler, who used to be on the cheerleading squad for the Maryland team. Other celebrities in the stadium were The Vampires Diaries actress Nina Dobrev, with her brother as well as Smash star Katherine McPhee. 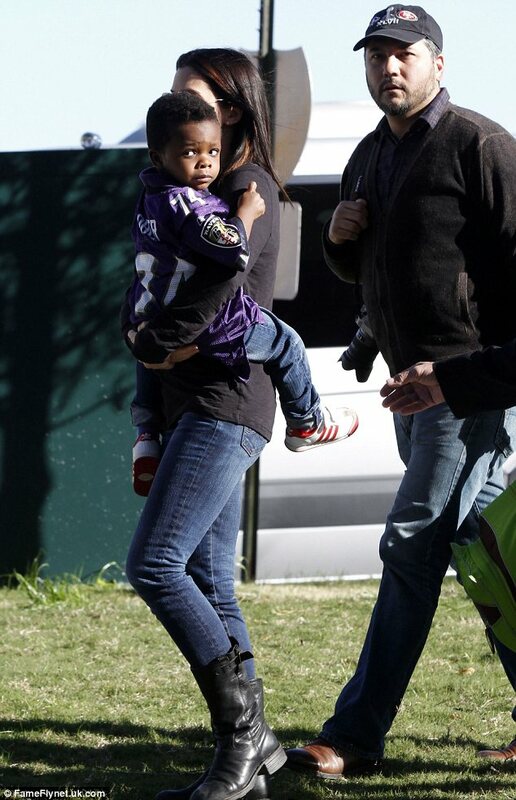 Both ladies backed the San Fransisco 49ers so were no doubt disappointed with the final result. 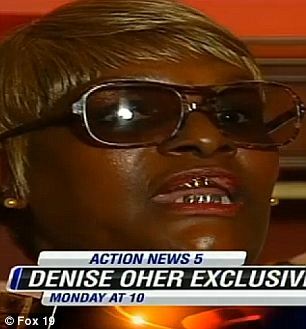 FOX19.com-Cincinnati News, Weather Please Leave comment below?